Join the Warrior Speaker Boot Camp on January 30-31, 2016 at 11:30AM-6:30PM at 35 Oak Tree Ln, Irvine, CA. This is the one and only Warrior Speaker Boot Camp led by world class coach, speaker and bestselling author Faye Kitariev, M.A. If you are a business owner, author, executive or professional of any kind you know that your success closely correlates with your ability to present yourself and to communicate your vision. To be successful in today’s world, you must be heard and seen. This training gives you the skills to do exactly that. Why Warrior Speaker Boot Camp? 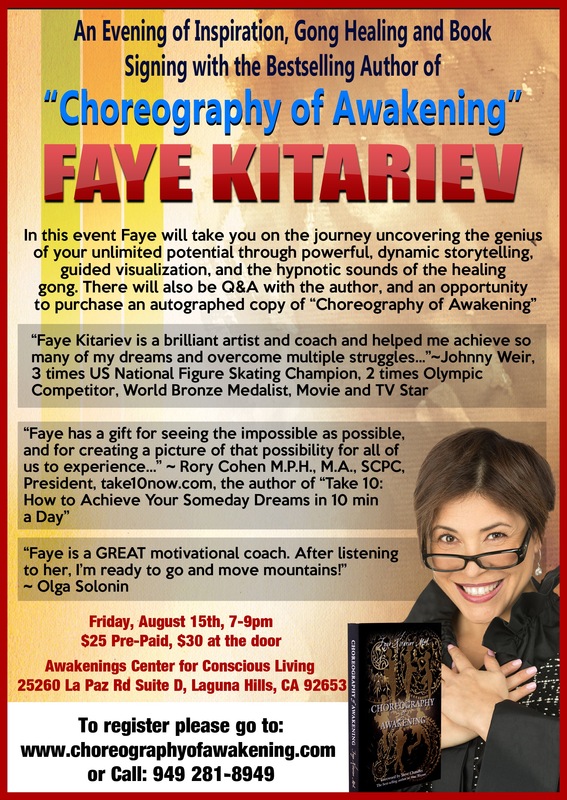 When Coach Faye wrote her bestselling book Choreography of Awakening, she realized that if she didn’t develop a powerful presence as a speaker, her book would be lost among millions of others. She also knew that it wasn’t enough simply to learn how to speak. She had to become a master storyteller and world-class speaker. Coach Faye invested hundreds of hours and thousands of dollars in learning from the most recognized names in the field. She sought out and studied with luminaries Brendon Burchard, Bo Eason, Josh Pais, Roger Love and many more. Her efforts paid off as she started getting speaking invitations, each of which culminated in standing ovations. She was chosen for a Member Moment by Toastmasters International out of 313,000 members in 126 countries. She was invited to mentor TEDx speakers. Her book became an Amazon #1 bestseller, and her income doubled. She realized she had developed a specialized and effective technique that could empower and inspire others. Coach Faye will share her own method of teaching powerful speaking skills distilled from her unique training and life experience. This includes 25 years of coaching world class figure skaters, decades of intensive acting training, yoga teacher certification, years of study in martial arts, improv, creative writing, and marketing as well as a Master’s Degree in Psychology. You will develop new skills, have tremendous fun, and take your career to a new level. 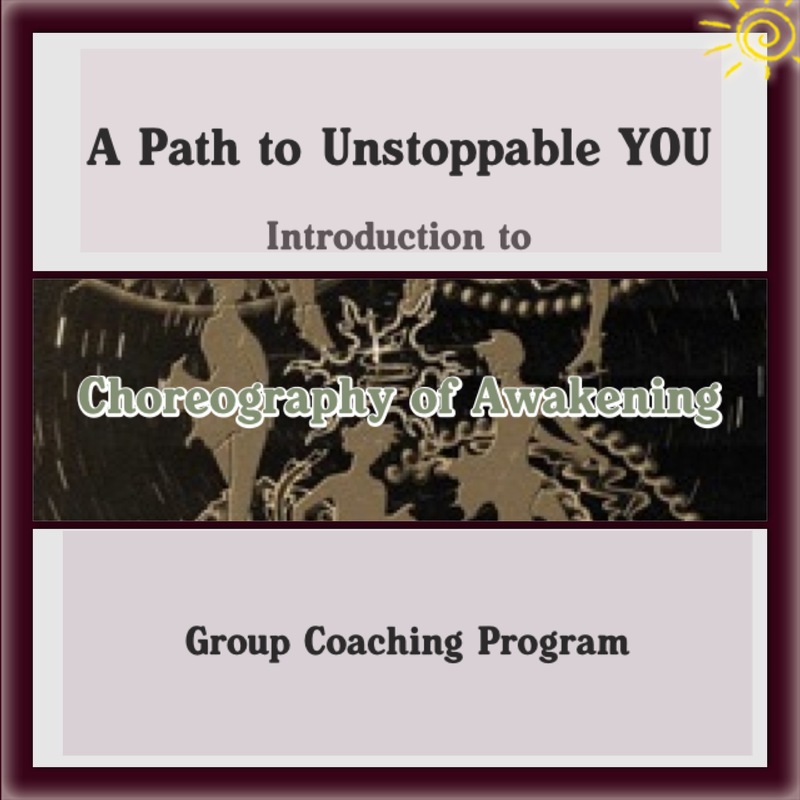 This is a one of a kind twelve-hour intensive offered at a ridiculously low price of only $217.00. THESE STRATEGIES WILL COMPLETELY CHANGE HOW YOU FEEL, MOVE, SPEAK AND INFLUENCE OTHERS. REGISTER early. Space is limited for this one-time event and will be sold out. SIGN UP and REGISTER HEREH..
What’s stopping you from creating what you want in your life? no one to support you.. This is a FREE event. 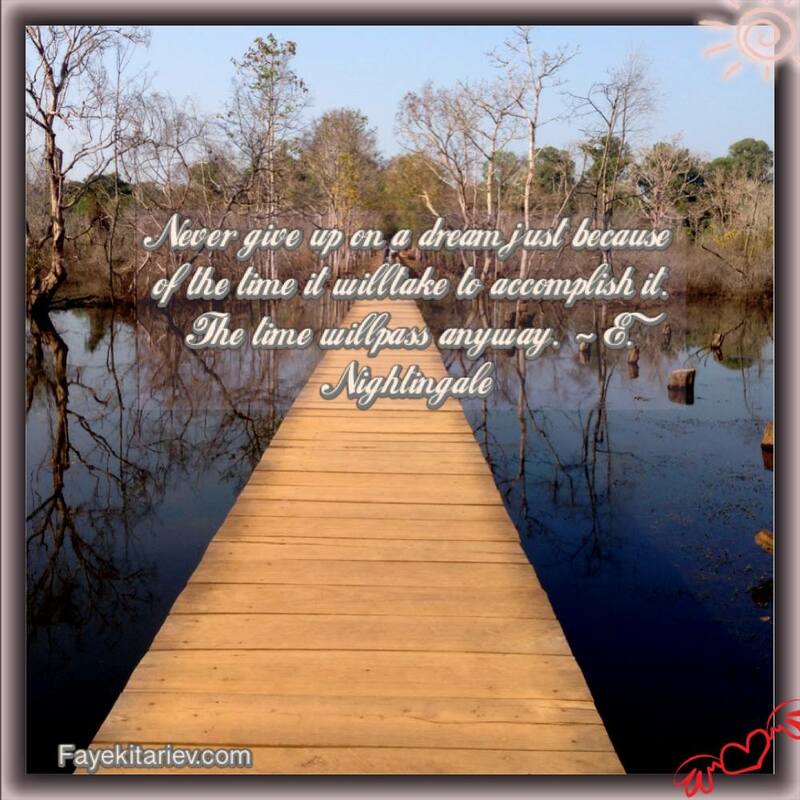 In this inspiring presentation author will share her methods and techniques to manifesting dreams and overcoming obstacles we tend to create for ourselves. At the end of the talk participants will have an opportunity to Q&A with an author, purchase an autographed copy of the Choreography of Awakening, network and mingle with like-minded people. Snacks and healthy homemade desert will be provided. To reserve your space please use the form below. Once your reservation is received we will email you venue details.